The utility displays operating hours of the main stock markets. StockTime automatically adjusts the time zone and daylight saving time. It has 2 built-in skins: light and dark. 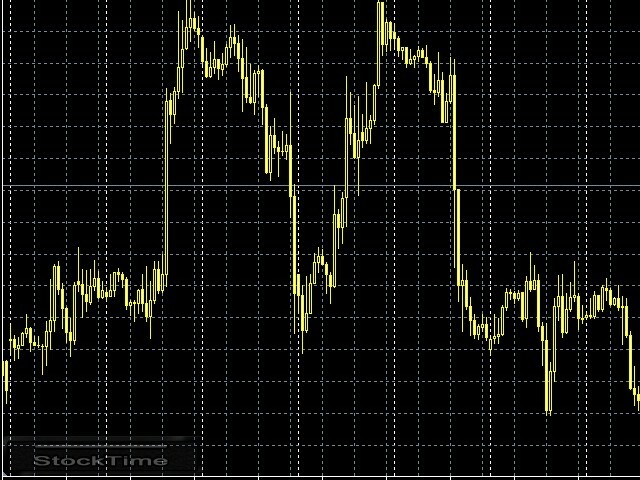 There is an option to "minimize" the utility and save space on the chart by clicking on the «StockTime» button. 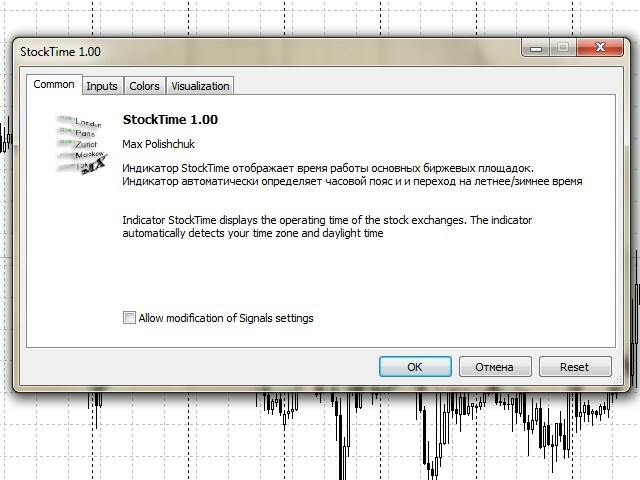 Click on «StockTime» button - show/hide the utility. Skin - the list allowing you to change the skin. Allow Alerts - enable sound notification. 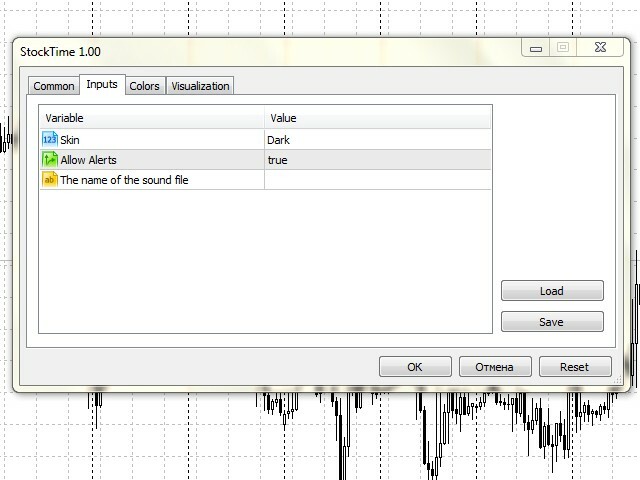 In the terminal_data_folder\Sounds or its subdirectory. 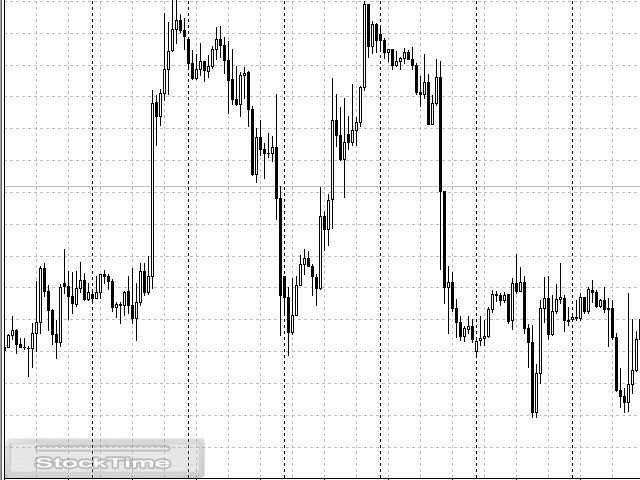 In the terminal_data_folder\MQL5\Files or its subdirectory. Play only audio files in WAV format. If the field is empty, utility's standard audio is played. 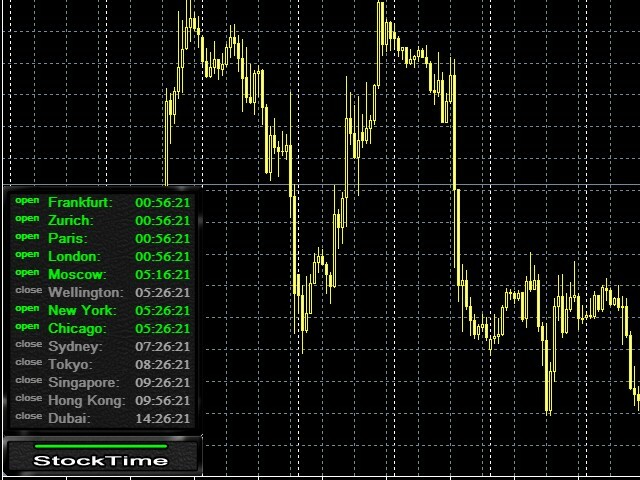 On weekends and holidays StockTime runs in demo mode. - Fixed a bug that caused flickering of the skin.